A UK law has quietly passed through Parliament which allows for radioactive waste dumps to bypass the planning system, local authorities or public opinion. The new legislation is opposed by anti-nuclear activists. Under the new law, Britain’s radioactive waste from medical use, weapons and power stations which has been stockpiled for 50 years may be dumped, circumventing local requirements. Sites will be chosen by the secretary of state for energy and climate change. As of last week they are considered “nationally significant infrastructure projects.” While the planning inspectorate could recommend sites for the nuclear waste piles, the secretary does not necessarily need to follow the advice. Local communities and councils can dispute the details, but can’t stop the process. The law was passed in the Parliament’s last working hours before it was prorogued for the general election and was noticed only by anti-nuclear activists and local opponents. “Communities will be rightly concerned about any attempts to foist a radioactive waste dump on them. We urgently need a long-term management plan for the radioactive waste we’ve already created, but decisions mustn’t be taken away from local people who have to live with the impacts,” Naomi Luhde-Thompson, planning advisor for Friends of the Earth told the Guardian. 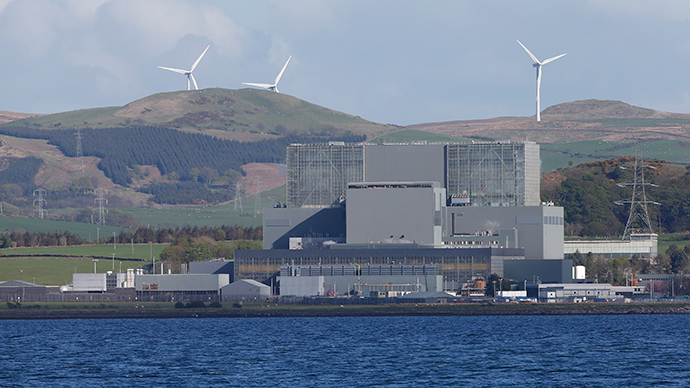 Opponents’ concern is that the move means lawmakers are desperate to resolve a long-lasting nuclear waste problem as they doubt that the plan to create a new generation of nuclear power stations could get public support. Zac Goldsmith, one of the few MPs who voted against the law, said such a big change should be done with more public debate. “It strips local authorities of the ability to stop waste being dumped in their communities. If there had been a debate, there could have been a different outcome: most of the MPs who voted probably didn’t know what they were voting for,” he said. Meanwhile even when a site is chosen, it will take another 27 years to build a dump and will cost from £4 to 5.6 billion, according to shadow energy minister, Julie Elliott. At least four attempts to find the right place for permanent storage facility have been made since 1976. All were postponed after strong protests. During the last 50 years, Britain has collected 4.5 million cubic meters of radioactive waste, according to the Guardian. They are kept in safe containers around the country and cost £3 billion annually, with two thirds of the sum coming from taxpayers. According to Department for Energy and Climate Change’s white paper published in 2014, ministers should better to work with public support, but if “at some point in the future such an approach does not look likely to work,” there is a right to take more aggressive action on planning. Germany has shelved plans to bury high-level radioactive waste, while Japan and France are reassessing their approaches. The only existing high-level radioactive underground waste stockpile in the US’ New Mexico was closed last year following two accidents.